If you visit the above URL in your web browser, you should see a huge 500×500 pixel QR code that will take you to Webmaster-Source if you scan it. You could easily copy and save the image, print it, or embed it in a web page by using the URL in an <img> tag. The key/value parameters in the URL are as follows. cht=qr — This tells the API that we’re creating a QR code instead of a pie chart or whatever. chs=500×500 — The size of the chart, in pixels. (I imagine “chs” stands for “CHart Size.”) 500×500 seems to be the maximum size. choe=UTF-8 — The content encoding. You should probably leave this as-is. chld=H — This seems to set the type of QR code. If you remove it, a different pattern will be used. I would recommend keeping the default unless you know what you’re doing. chl=[…] — The data you want to create a QR code for, such as a web address. If it is a URL, just paste it verbatim after the equality sign. The beauty of the API is it’s simplicity. If you know you’re building some sort of web app, you could easily use your language of choice to mash your data up into a URL request and spit out an image tag with a QR code. Google already does this with their Goo.gl URL shortener. If you look at one of their URL info pages, it displays a small QR code and a link to a larger one. 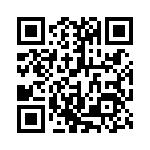 (Actually, adding “.qr” to the end of any Goo.gl URL will display the QR code.) It’s a very easy way to get a quick QR.